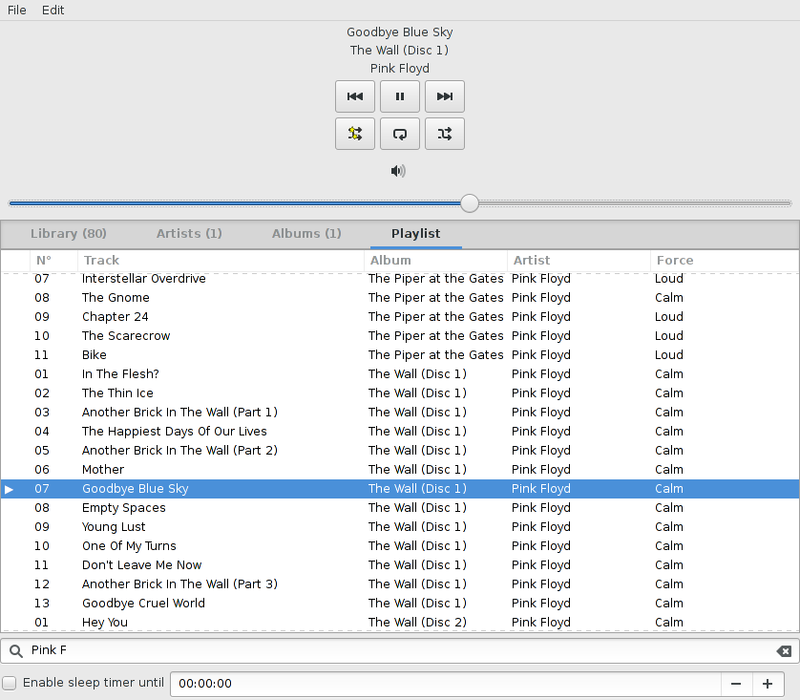 leleleplayer is a free (libre) audio player that analyses your music library with the Bliss music library, and then can either play music like any other standard player, or smoothly play similar songs from your audio library. 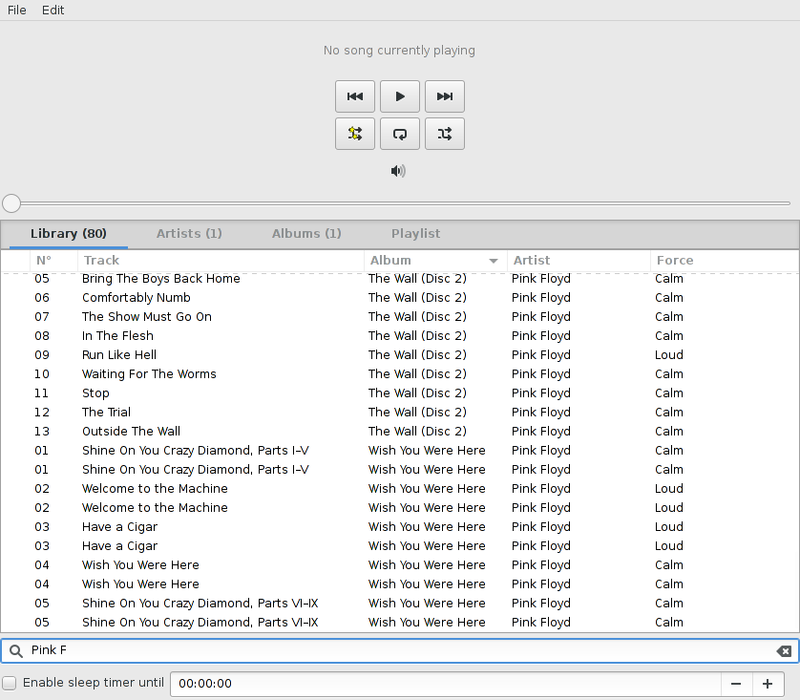 Why bother creating playlists for sleeping or parties, when leleleplayer can do it for you? 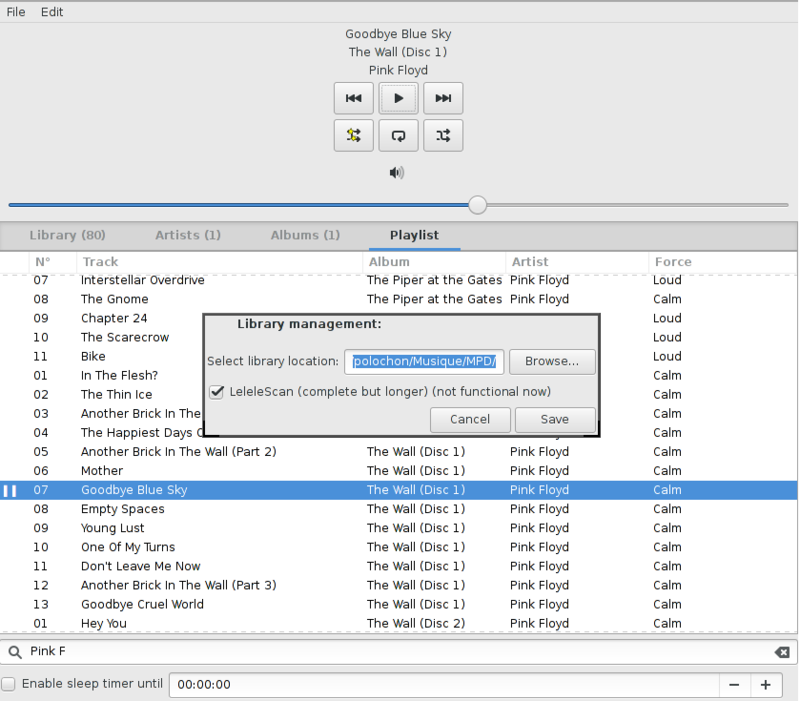 leleleplayer is written in C, uses GTK and GStreamer, and its source code is freely available on Github. It's still in (heavy) development, so don't hesitate to make bug report and/or bugfixes! 64-bits packages and binaries are available for Archlinux, Debian/Ubuntu and Windows. You can also build leleleplayer from source (see below), or make a package for your distro!